The Project Team suffered two great losses in November with the deaths of Carl Probst (HHS 1959) and Linda Walden, wife of Bill Walden (HHS 1965), Team Treasurer and Hicksville Area Coordinator. Please join us in extending our deepest sympathy to the Probst Family along with Bill and his Family. Given this circumstance, we will not issue the normal report this month. What we thought we’d do instead is report on the progress of Memorial Construction, headed up by John Tranchina (HHS 1964). We’d also like to show each of you the planned content of the Memorial’s Center Stone. During November, John received a formal quotation for the Memorial’s stonework and is working with the stone vendor on some needed adjustment to the thickness of the footings that they quoted. 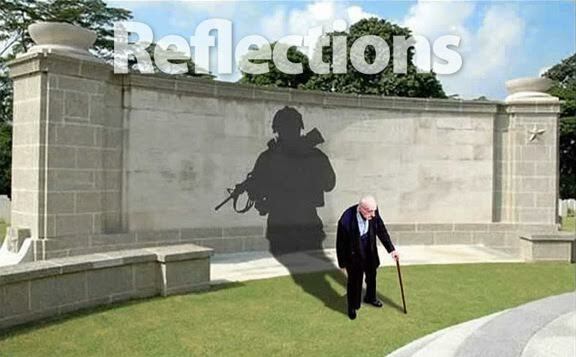 He also expects to receive a formal quotation for the name/service data plates that will be mounted on the Memorial stones that will be constructed to the left and right of the Center Stone. The Center Stone will contain the Memorial’s Center/Dedication Plaque and a complete list of those Killed In Action (KIA) during the Vietnam War Era. The Center/Dedication Plaque was donated by Ken Strafer (HHS 1962), the original founder of this Project and will be mounted at the top of the Center Stone. The KIA List will appear on the Center Stone below the Center/Dedication Plaque. 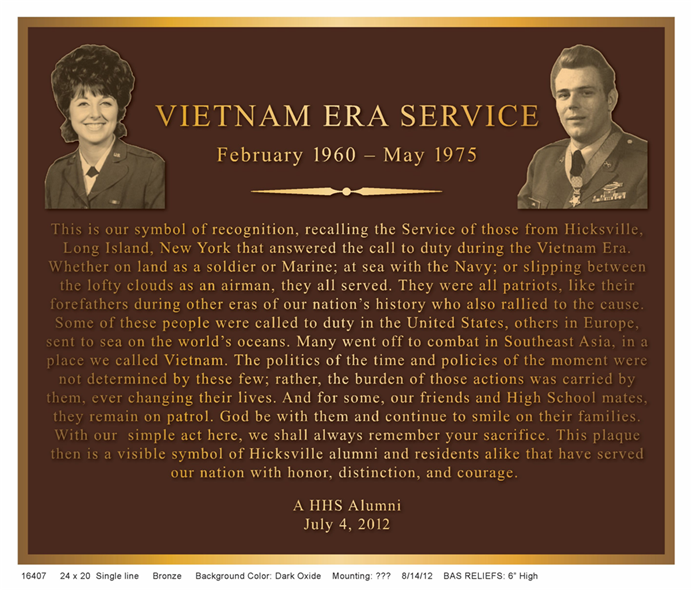 The Center/Dedication Plaque is currently on display at the Hicksville VFW Post where Bill Walden is Commander. A typed list of the KIA data that will appear below the Dedication Plaque and will be either engraved on, or mounted as an engraved plate, appears on the next page. We will return to our normal reporting format for the January 1, 2019 issue of HixNews.